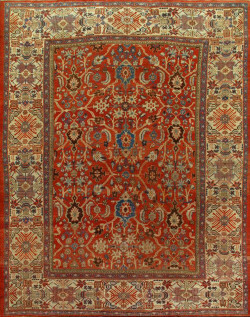 This fine antique Persian city rug was woven in Sanandaj, the capital of Kurdistan Province. 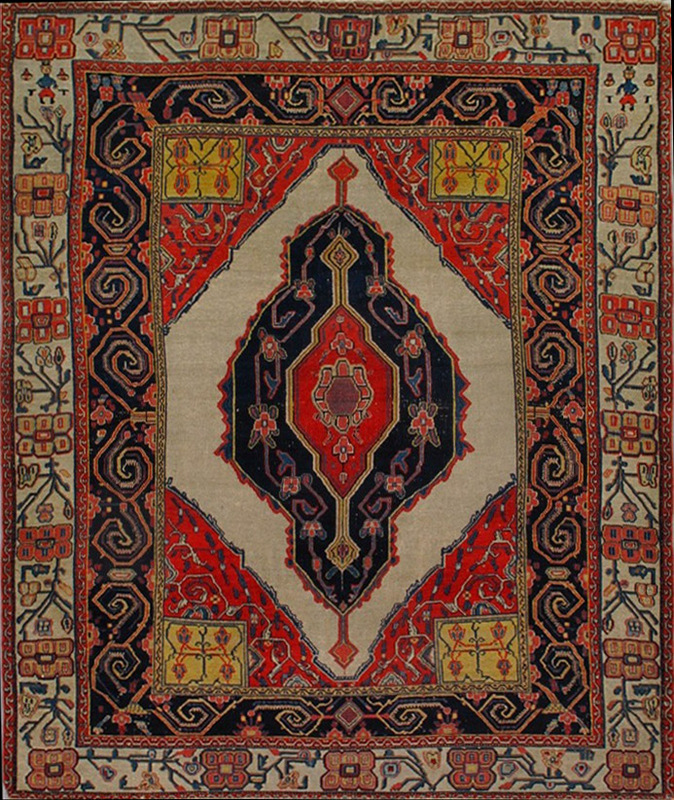 A creamy ivory open field fits closely around the nested dark blue and red floriated central medallion. 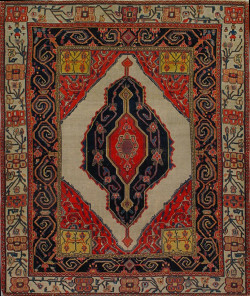 The large triangular red corners are patterned in a curvy arabesque design and anchored by striking yellow boxes. 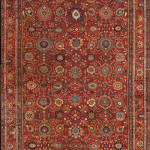 There are two unusual borders of equal width. 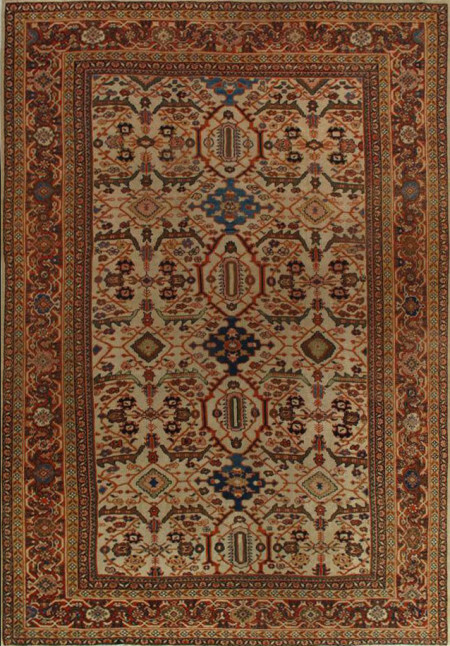 The inner dark blue band has a bold scrolling design while the outer ivory surround employs square rosettes alternating with angular floral sprays. 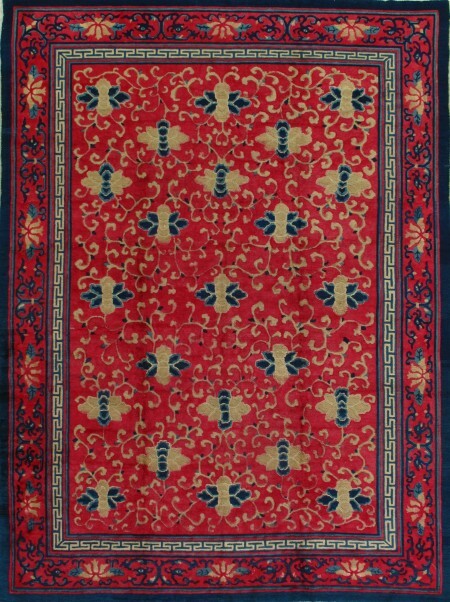 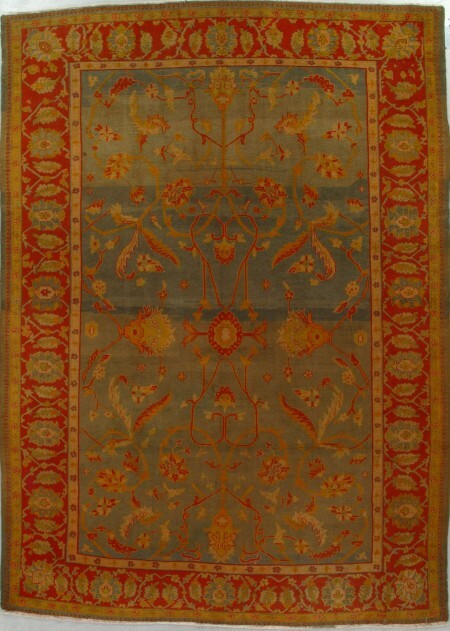 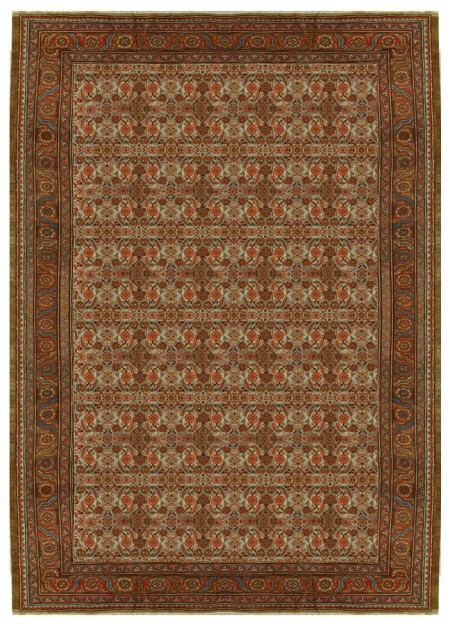 The whole effect is bold for a Senneh, usually a closely detailed type of rug.The rug is unique and there are no published parallels.